Our farm philosophy centers around land stewardship and animal husbandry. We feel truly blessed to farm the land that God has given us. We are huge supporters of the local food movement and have grown to understand the seasonality of our products and the delight it brings to locavores. Everything has it’s time and it’s season and we are working hard to make our farm more and more environmentally, ethically, and naturally conscious so that our farm continues to produce healthy food. Our beef, chicken, and eggs are products of grass fed systems on the farm during the growing season and although we are not organically certified our methods embrace local and natural processes. Raising awareness and educating the public on food issues, we feel, is an integral part of our responsibility as farmers. We believe in smart work and hard work. It is smart to allow animals to express their species specific behaviors. 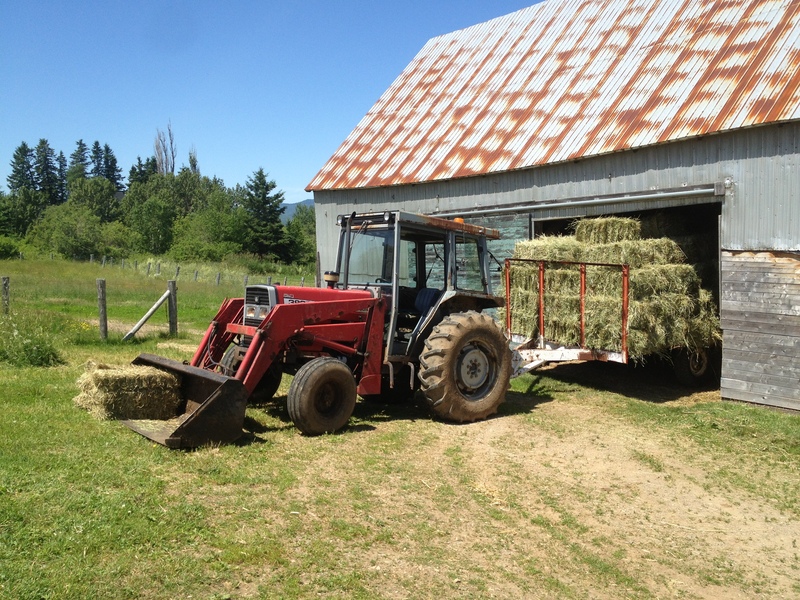 It is hard work when haying season comes around and preparations for winter feeding must be made while the sun is shining. Fresh hay being stored in the barn for winter feeding. Anything sewn in the ground is planted using beyond organic practices, while anything raised on our farm has ready access to the plant material on our hayfields and pastures. Finally we do not habitually use antibiotics or hormones in our animals and we do not use chemicals, pesticides, or fertilizers on our land. However, a sick animal that is suffering may receive antibiotics at the request of a veterinarian. We pride ourselves on transparency so if you have any questions, please contact us.